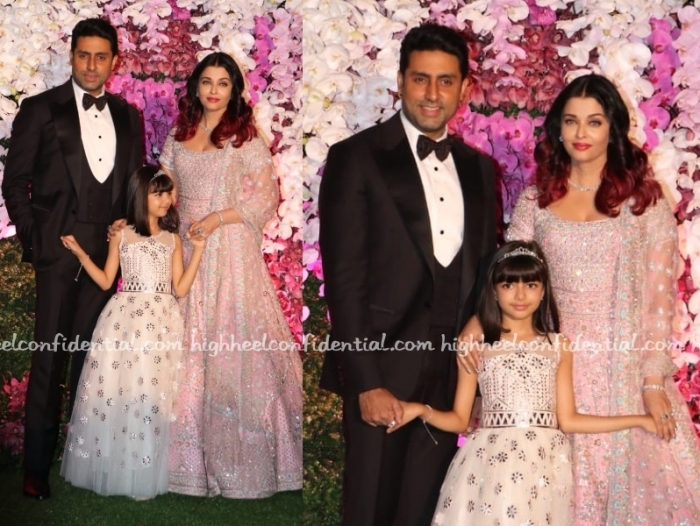 For the wedding reception, Abhishek picked a tuxedo, Aaradhya a white dress (Abu Sandeep?) and Aishwarya, a Manish Malhotra lehenga. Abhishek and Aaradhya looked nice. Aishwarya outfit and finishing touches just looked dated. 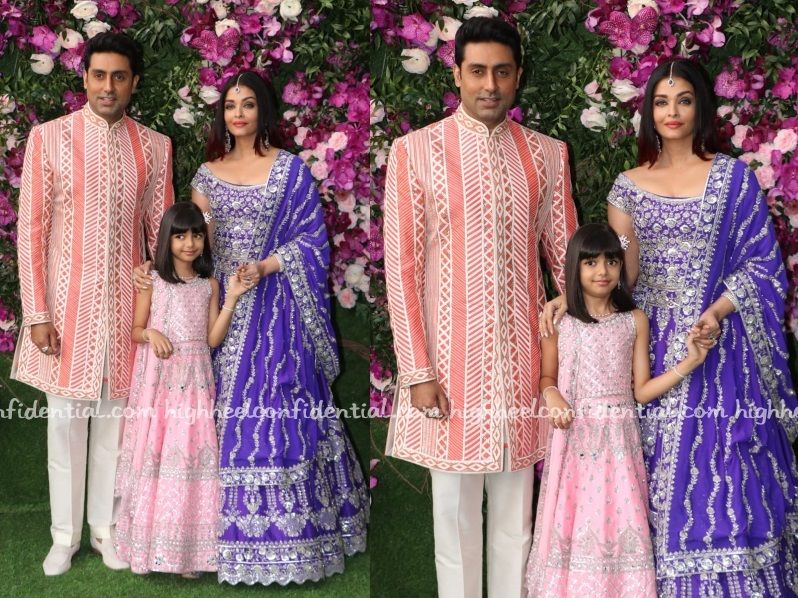 Abhishek, Aradhya and Aishwarya attended Akash Ambani and Shloka Mehta’s wedding today in Mumbai with Abhishek wearing a pink Abu Jani Sandeep Khosla kurta and Aishwarya in a blue Manish Malhotra lehenga. Yes, the lehenga is gaudy but I really wish she’d worn her hair in a bun. Would’ve elevated her look so much more. As for Abhishek, did not like the design of his sherwani one bit. Aradhya looked adorable! Aishwarya helped inaugurate an exhibition in Doha on Wednesday and was seen wearing a Manish Malhotra sharara. Yes, it may have felt bridal, but boy oh boy, did she look good in it. Le sigh! 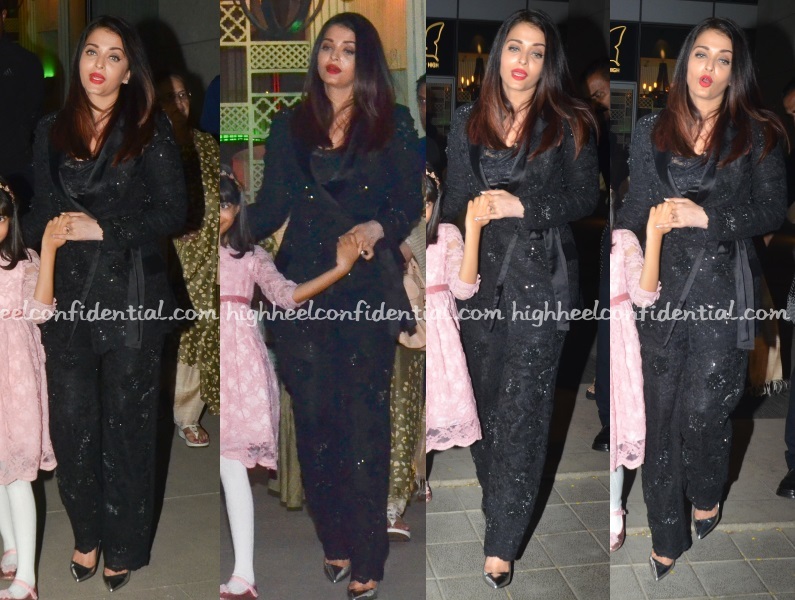 Aishwarya attended the Lalkaar concert wearing a Rohit Bal long jacket with a suede-ish top, black skinny denims and platform sandals. I don’t mind that she wore the jacket differently but this combo was dreadful!